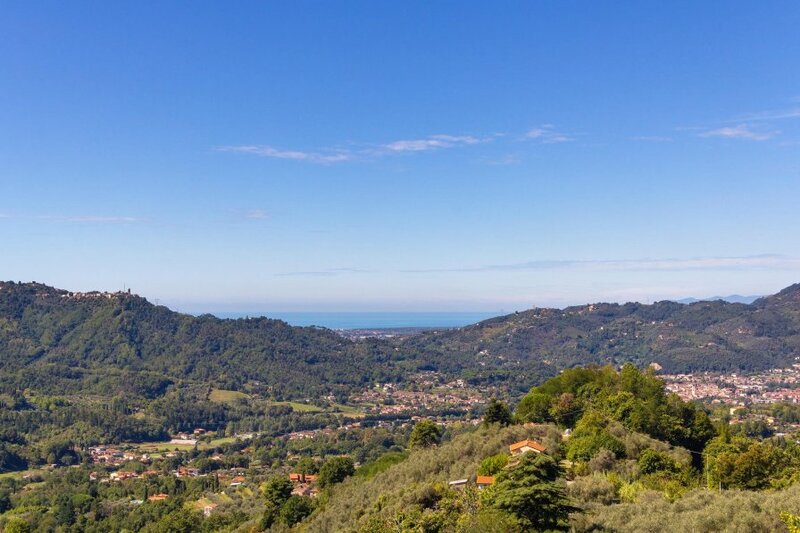 This characteristic terraced house is located in Toricigliano, a small village on the hills of Camaiore, with a beautiful view over the entire valley. This characteristic terraced house is located in Toricigliano, a small village on the hills of Camaiore, with a beautiful view over the entire valley. The accommodation is ideal for spending a peaceful holiday and enjoy pleasant walks in the village. Torcigliano is also a beloved destination for bike lovers. Just 15 km away is Lido di Camaiore with its elegant seafront promenade with bathing establishments, bars and restaurants. At 15 km distance is Pietrasanta with its marble sculpture workshops and ateliers of world famous artists with exhibitions throughout the year. Pisa with the charming Piazza dei Miracoli with the cathedral, baptistery and the world famous leaning tower is at about 38 km distance. Do not miss to visit the beautiful city of Lucca (28 km), famouse for its imposing city walls, its numerous medieval churches and beautiful squares that are also home to interesting events such as the Lucca Summer Festival with concerts of internationally renowned singers performing on the Piazza Napoleone, or the Lucca-Comics, dedicated to the fantasy genre. The car park is about 300 m from the property. This villa is made from wood and brick and was originally built in 1800 and refurbished in 2004. The agent has rated it as a three star property so it is a well-kept villa, equipped with standard furniture. It is also good value for money. The villa is only 12km from Camaiore. It is set in a good location: there is a restaurant 2km away. The villa is adequately equipped: it has a refrigerator.